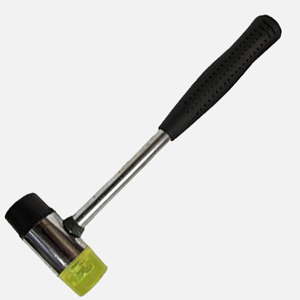 - Larger & heavier than Glazing hammer #15781. - Tap nails using the hard plastic end & tap glass in place using the rubber end. Size: 10-3/4" L. x 3" Head. 25mm Dia.